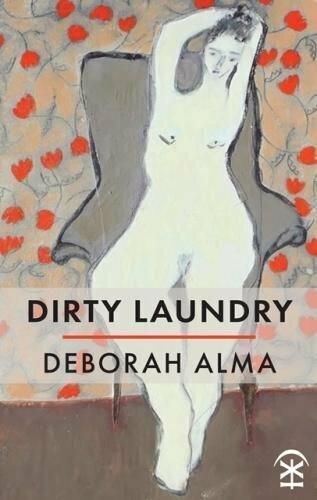 Our featured publication for July is Dirty Laundry by Deborah Alma, published by Nine Arches Press. I nearly fell in love once. and ticked all the boxes. They could not see this. sequins sewn into my childhood. with five bright beads over an English lamp. not quite heard, the light not quite seen. garden wire and three sweet-pea seeds. Deborah Alma was born in North London, and has lived on the Welsh/Shropshire borders for the last 25 years where she brought up her 2 sons and now lives with the poet James Sheard. She teaches creative writing, works with people with dementia and at the end of their lives and is the Emergency Poet in her 1970’s ambulance. She edited The Emergency Poet – An Anti-Stress Poetry Anthology and The Everyday Poet – Poems to Live By (Michael O’Mara Books) and was the editor of the landmark #MeToo poetry anthology, published by Fair Acre Press. Her first poetry pamphlet True Tales of the Countryside was published by The Emma Press. Dirty Laundry is her first full collection of poems. She is currently Honorary Research Fellow at Keele University. Dirty Laundry is available to purchase from the Nine Arches Press website.